Last week we went into the studio…. ….. to record our second album! Here are just a few photos from the sessions. Big thanks to the Fish Factory in London, and keep your ears peeled for the results later in the year….. I started following On the Corner Records when a guest (Edgar Moon) on my radio show played “Agama” by Collocutor off their debut album “Instead”. Since then I have been a fan. On the Corner don’t conform, they don’t sell out in the name of money. When you allow artists to be creative sometimes they create something brilliant. Take an already great track from the album ” Gozo” produced by Nick Woodmansey (AKA Emanative) give it to The Expansions and hey presto In my humble opinion the best track of the year so far. It has everything I love a driving heavy head nodding drum, amazing brass and electronic drops. I don’t think I’ve had such a positive reaction about a track on my show simply perfection. I’m hoping for them this gets the exposure it deserves so the label can keep doing what they do well, not conforming. “Part jazz, part Dutch minimalism, part Moondog” – ‘Elephant Room’ on BBC Radio World on 3! 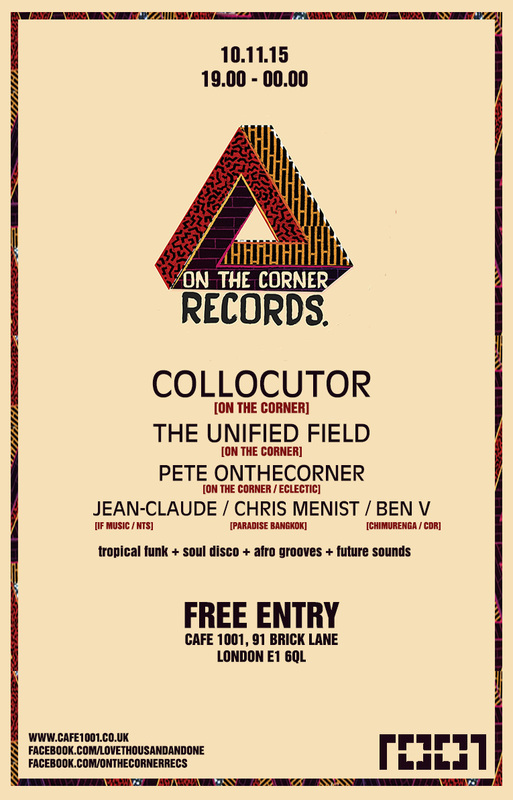 Collocutor are very excited to be taking part in this year’s Record Store Day with a live set at London’s If Music! Expect tracks from the album and some brand new tunes…..
Our track ‘Archaic Morning’ on Gilles Peterson All-Winners 2014 BBC 6Music radio show! Collocutor makes UKVIBE’s top jazz albums of 2014!